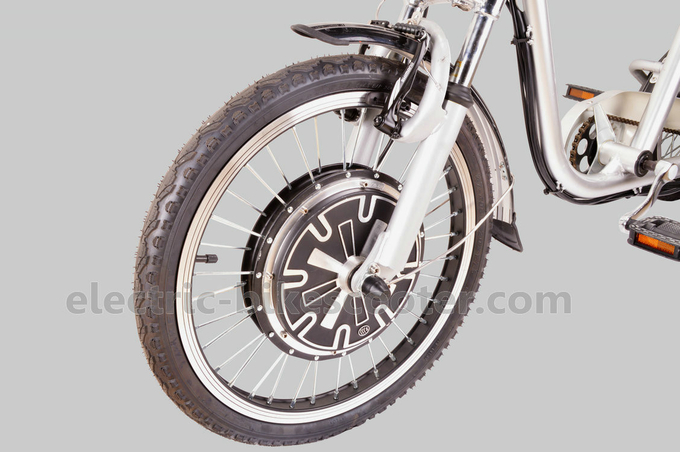 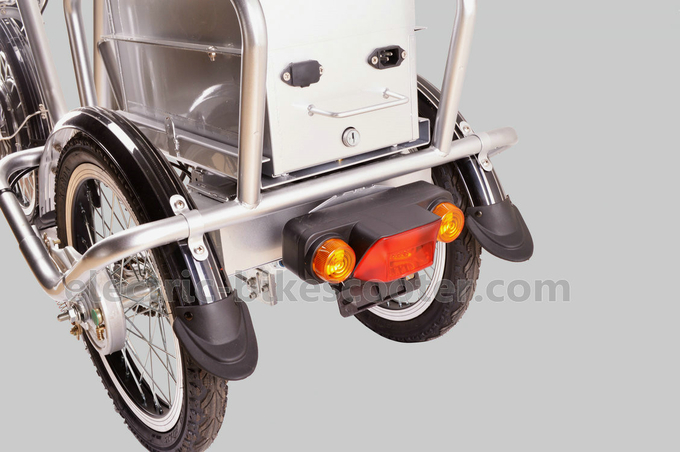 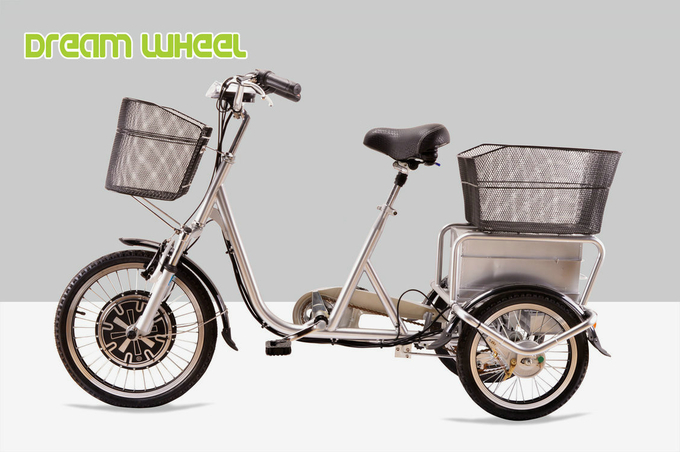 EBS718, is one simple cargo electric bike with 3 wheels. 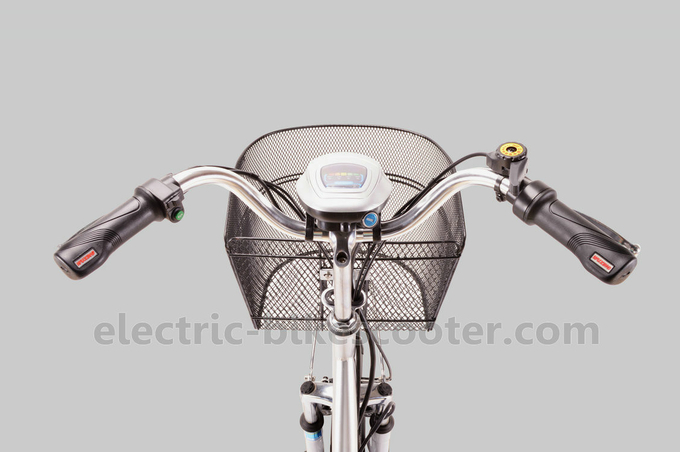 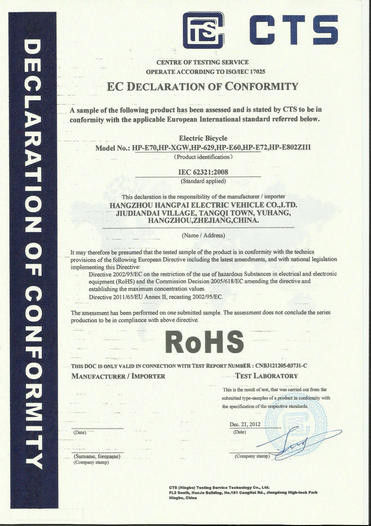 The speed is 25km/h, motor can make 250W, so it can meet e-bike regulation for Europe. 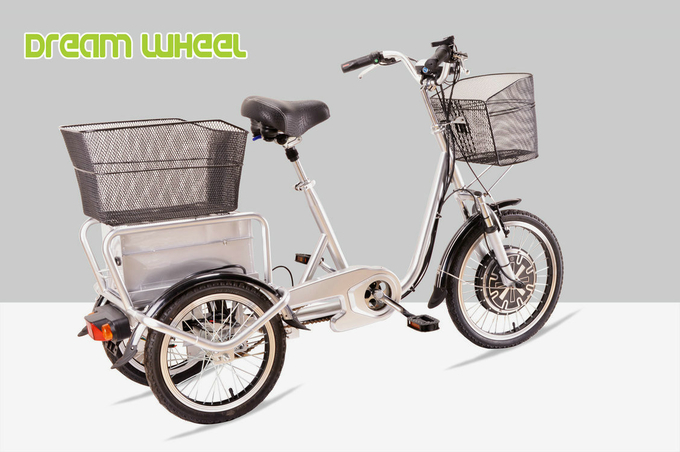 We install two baskets for this trike, it’s helpful to go shopping or take some goods. 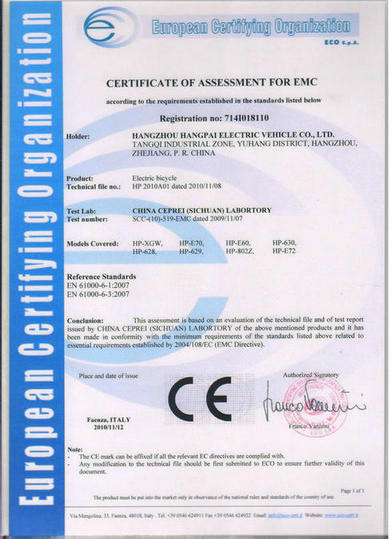 48V 20AH lead acid gel battery, can get you with 55km drive distance by PAS. 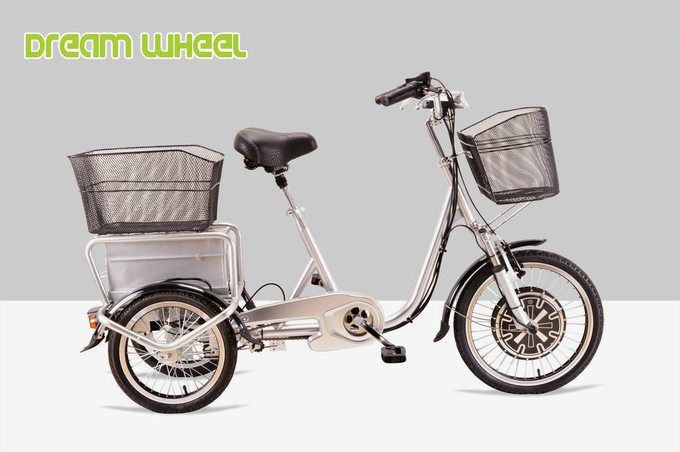 The rear big basket, can take more goods as you need.